do you know your current numbers? what header are you running? what is the diameter of the exhaust? what kind of skunk 2 cams are you runing? Last edited by naj3000; 05-29-2011 at 07:58 PM. Is that with a tune? And I would swap out the header and prob do a couple things in the head. Get a hondata s300 and get hytech headers. Here is a link Hy Tech Exhaust----The Leader in Race Exhaust Technology Also what intake is on you car? Absolutely. Speaking of hows ur exhaust bro? Havent heard since u bought it all. Cant believe nobody has said this yet, get rid of that skunk2 intake manifold. Look into a euro r manifold. Contact rosko of rosko racing and he can hook you up. The skunk2 mani is only good for boost. Get you some type s pistons too. Well I cant say Ive ever seen a dyno comparison between the two. Ive just always heard euro r is better for all motor. You may be right. I would really like to see a dyno comparison. the stock motor comparison has been made and proven, but every custom setup is a bit different. someday I'll get on this. I've seen dyno comparisons for both IM bÙt they were on stock motors. The euro R out performed the SK2 all motor. Idr the results but it wasn't hard to find. As for having a SK2 IM it won't hurt u lol just euro r yeilds better results. port the cylinder head, get high flow cat and better pistons, maybe? Last edited by TypeT; 05-30-2011 at 11:51 AM. NOBODY needs 3" exhaust in naturally aspirated car! Bro do ur research. 3" exhaust is dyno proven to yield more power over 2.5". I have 3" on stock internals n I make 188whp/168tq. I would be willing to bet u anything if u put 3" on ur car ud see worth while increases is both power and tq. if you have 2" collector pipe on header and then 3" end exhaust..does exhaust gasses expand somehow? Last edited by TypeT; 05-30-2011 at 11:59 AM. the way how your exhaust is built allows car to breathe better, not the size! and btw, do you know company named mugen or spoon? do they have 3"? now youre saying that they dont know what theyre doing? Last edited by TypeT; 05-30-2011 at 12:14 PM. Last edited by TypeT; 05-30-2011 at 01:13 PM. Do you know how old our cars are? Last Prelude came out in 2001, this 3" exhaust is not that old. Spoon and Mugen are 2 very diffrent companies with different projects (N/A and boost). Spoon didn't really use the lude and Mugen not much more. What spoon parts do we have for our cars, now what Mugen parts do we have for our cars. Also, I have never heard of a full Mugen exhaust for our cars either. Now, B18's use 2.5" exhaust and we have 0.4L more than they do. Do your research, this is PROVEN. 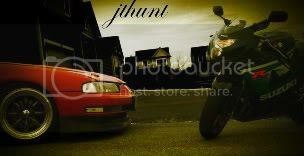 Last edited by JohnnyH23; 05-30-2011 at 12:36 PM.